Psychedelic outlaws Flamingods will release new album 'Levitation' later in the year. The band's crate-digging tendencies add North African and Middle Eastern elements to their noise rock bedlam, a rhythmic chassis that stands apart from the competition. 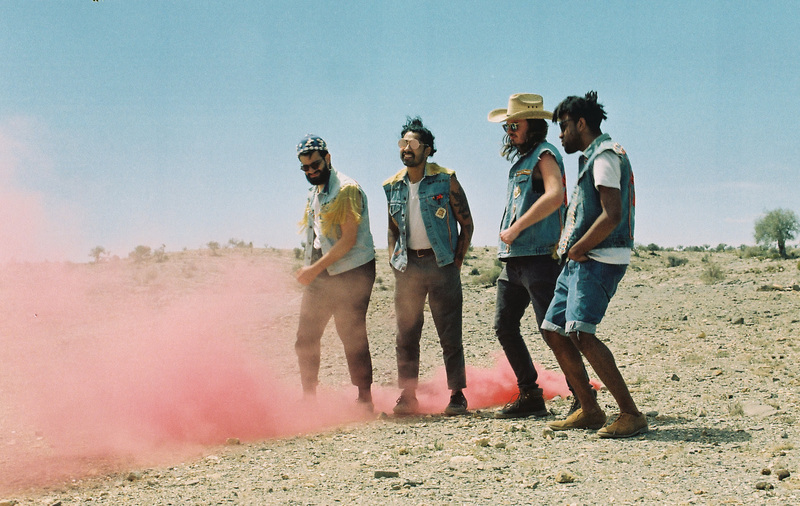 Set to play The Beat Hotel in Morocco in March, Flamingods are going back to the source, soaking up fresh inspiration. It's all set to come tumbling out on new album 'Levitation', which drops via Moshi Moshi on May 3rd. Crunching new song 'Marigold' is online now, a race to the finish that blends Syrian melodies, psychedelic guitars, and North African flourishes.